Why Do Boys Go Last? Or maybe because they are the oldest, or because they love their sisters. Maybe it's because that's the way Grandma J planned it. Grandma J took all three grandkids to the Fairfield Inn for a sleepover. This was Andrew's third sleepover there with Grandma J. And this year, because he is so much older, he decided to actually cook his breakfast at the free buffet. He waited patiently for his turn to make waffles on a real waffle iron...but the adults must have thought he was just an observer because they kept cutting in front of him. Grandma J set them straight. On Grandparents Day, yes we are still talking about Grandparents Day, Andrew was OK with Grandma J visiting Beauty's class first because he's a boy, and older, and a gentleman. 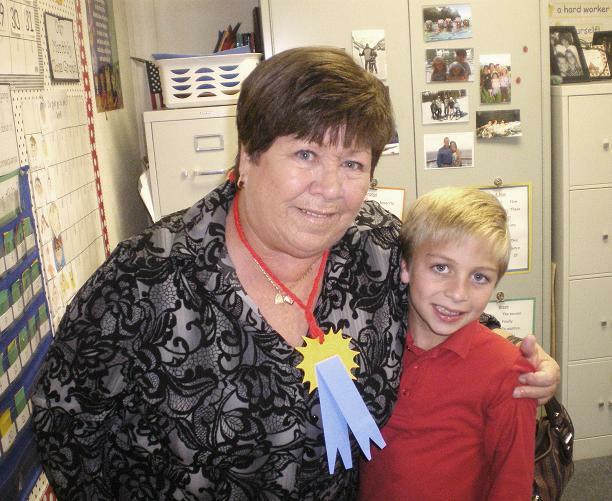 Besides, this was the fifth year of Grandma J visiting his class on Grandparents Day at Stoneybrooke. This is Andrew's teacher.....and he thinks she's swell. These two love each other so much....and have no problem showing it. Don't you love the blue ribbon Andrew made for Grandma J? Wouldn't it have been even nicer if it were on right? 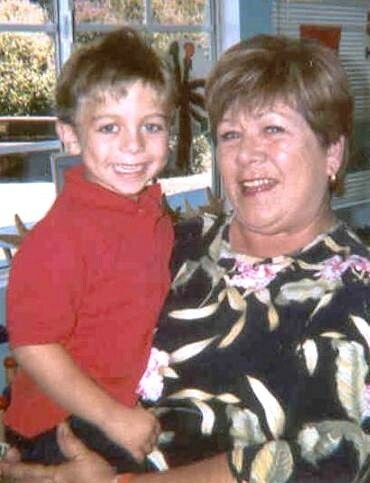 This is Andrew and Grandma J on Grandparent's Day 2005! 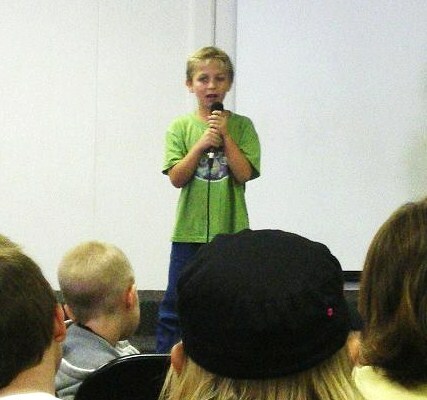 Andrew has a beautiful voice, and was the only boy to actually sing a solo at the talent show. He got a standing ovation! 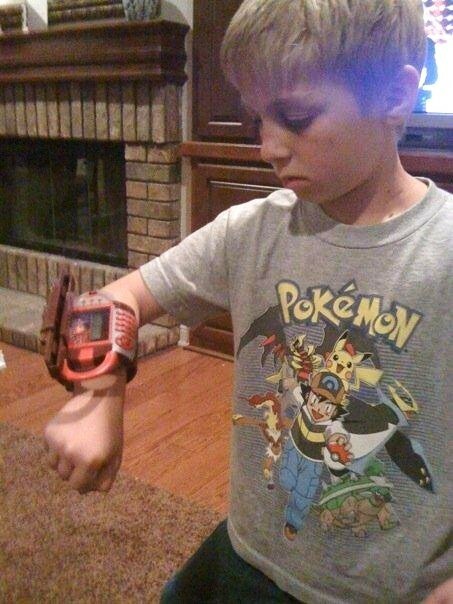 Because, he wanted to hurry home to put batteries in, and play with his Bakugan wrist thing...the other electronic gismo he had to have! Andrew used to call Grandma J Mum before he could say Grandma, and it just warmed her heart that he put that on her medal, as her name, for all to see. 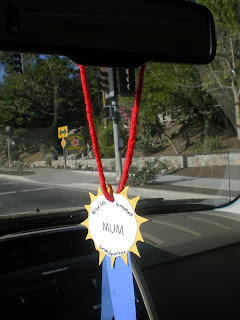 On Grandma J's long drive back to Texas, she noticed how all the other drivers on the road where looking at her blue ribbon medal with envy. 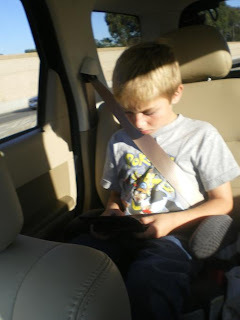 Boys go last because they have important things to do that take a lot of thought and preparation. You are the BEST Grandma!! You are for sure, a blue ribbon winner, GrandmaJ! And so are those grandkids! You know, I'm sure he still thinks of you as "his Mum", and always will! He is a very special boy indeed. I would love to earn a ribbon like that one day too...perhaps I should start taking lessons from you. I am writing this stuff down: take them shopping/one on one time/sleepover in a hotel/dessert for breakfast/love them 24/7!!! I hope I can do this too. Both he and Beauty need to be at the next Blog Fest. You're a might lucky Grandma, and he's a lucky boy. You just have so much fun with your grandkids! 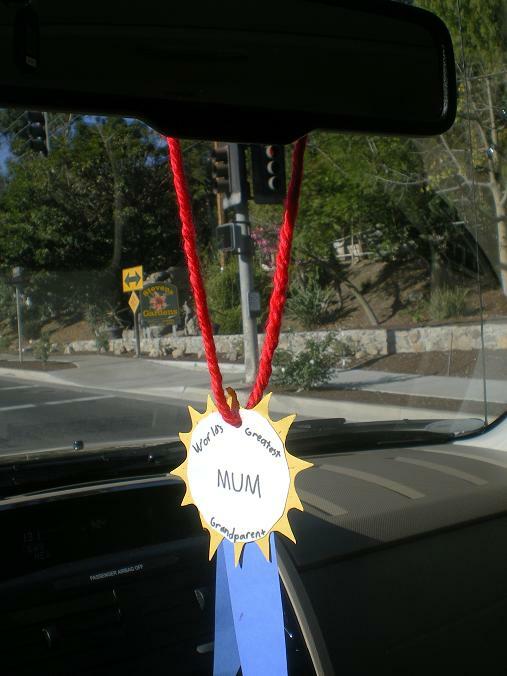 :) I love the blue 'mum' ribbon, and I'll bet those other drivers on the road really wished they had one to hang on their mirrors! How fun what that!!? Very! Andrew is a poster grandchild. He looks so grown up. I don't know why I cry when I come over here every day lately... Craziness : ). Very sweet. 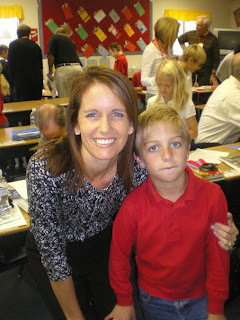 I am glad you are his Mum! And I love your medal! And I love that you had a special visit with your grands. What wonderful memories! 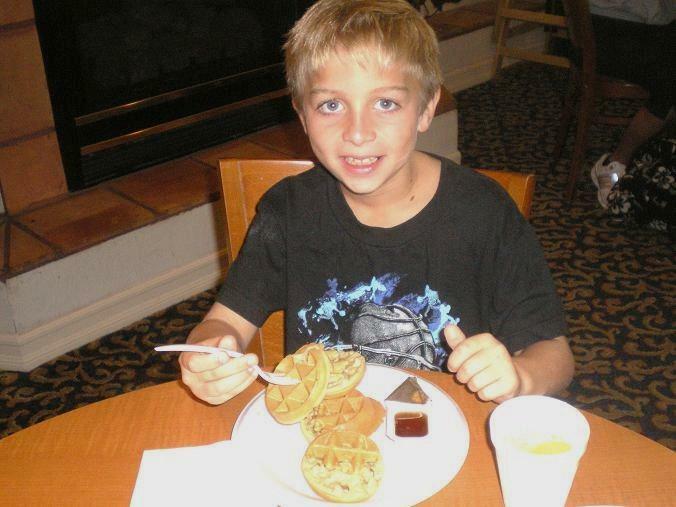 And how cool that he made a waffle! That is so great! Sounds like another great adventure! 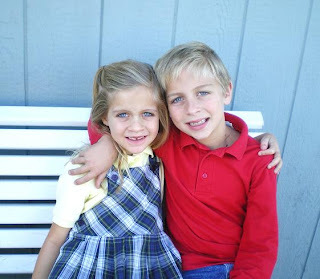 Just how ethical is it that you have cornered the market on gorgeous grandkids? Will there be any left for me when I'm 90 and my children are finally old enough to become parents? What a wonderful treasure that ribbon is GJ! And you are so deserving of it! 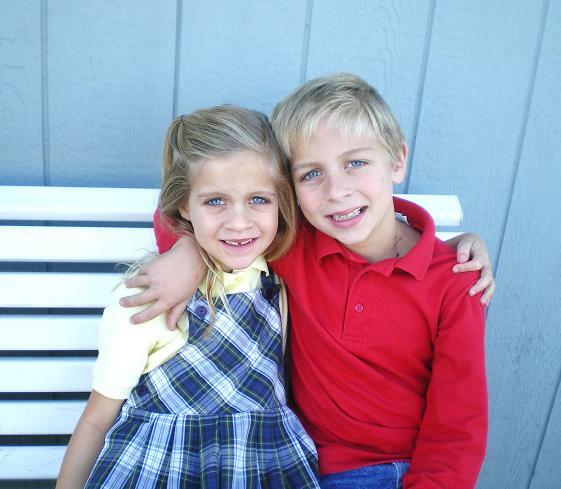 What wonderful treasures those beautiful grandchildren are. I am so glad you did not spoil them! You are the best Mum ever ... I am still hoping you will adopt me.